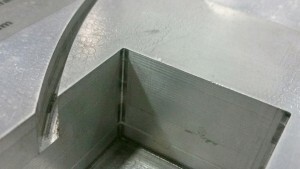 Many high precision engineering applications require deep channels that have very sharp corners. 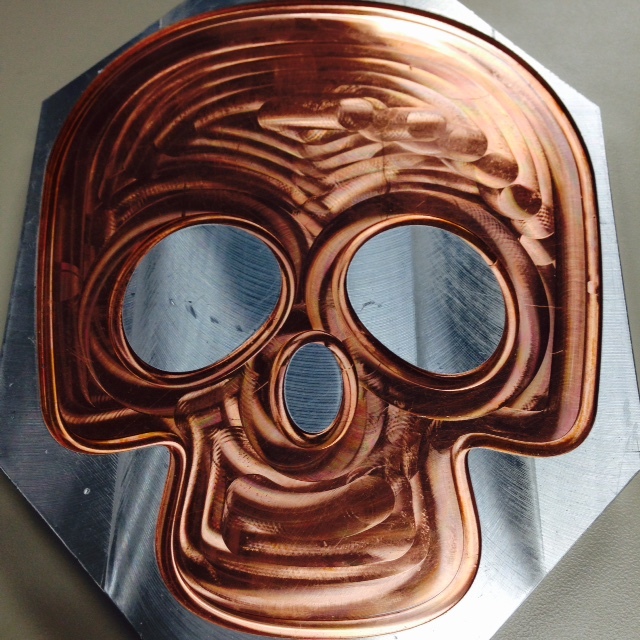 This is a difficult feature to create using CNC machining, typically requiring multiple iterations of plunge EDM. 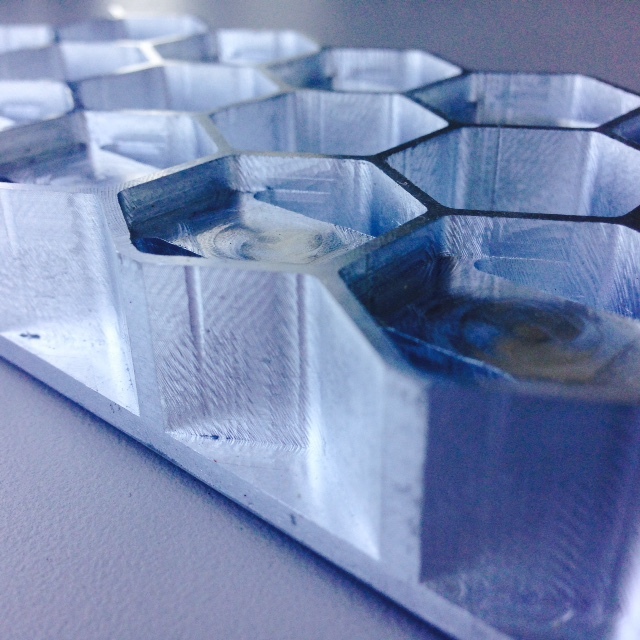 With Fabrisonics’s hybrid additive/subtractive 3D printing technology, the problem becomes much simpler. In a hybrid system, such as our SonicLayer 7200, sharp corners can be machined as the part grows in Z. As each layer is welded, the CNC head can come in and machine the corner with a small end mill (for instance .005” diameter). Although these ultrafine end mills are typically very short, you can machine the corners out in stages since you are only building .005-.010” per layer. Thus a feature with sharp corners can be printed several inches deep. The other day we were on a conference call with a potential client. Well-schooled in ‘traditional’ 3D printing of metals, the client asked “Tell me about how you control the melt pool.” This is a common misunderstanding about our process. 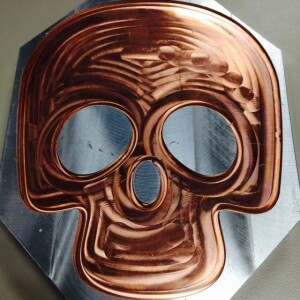 The fundamental distinguishing characteristic of UAM, in comparison to other metallic additive manufacturing technologies, is that it is a solid-state welding process – meaning that melting of metals does not occur – with all of the attendant impact of high temperatures on material properties. If we are not melting, then how do we create a bond? Without interference of the oxides that coat them, metals naturally want to bond to each other. Our ultrasonic process uses a scrubbing action to break off the layer of oxide that lies on every metal surface in our atmosphere. With a little bit of pressure and a little bit of heat, the metals form a solid state joining. Below is a great video showing from Rice University two small metal wires in a vacuum. As they are brought together you can watch then ‘snap’ together in a solid state bond. 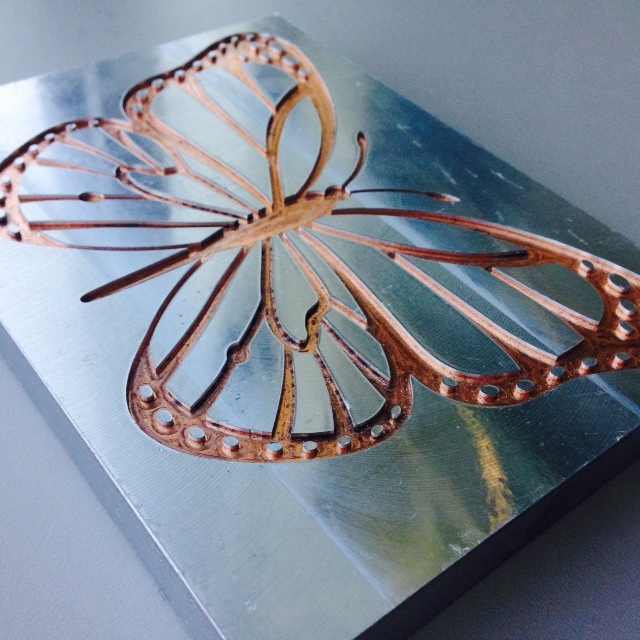 By using ultasonics to weld thin layers of foil layer upon layer, we are able to 3D print solid metal parts with full density. Ultrasound does create a small amount of heat, but in aluminum alloys we see peak temperatures under 250°F which is well below the melting temperature of any metal. Embedded electronics in 100% dense metal structures, complex internal geometries, low-temperature welds between dissimilar metals—these particular design elements have a few things in common. First, they are all extremely difficult (if not impossible) to achieve through traditional manufacturing. Second, they can all be accomplished through Ultrasonic 3D Printing. Ultrasonic 3D Printing is a new technology that transcends traditional manufacturing and 3D printing capabilities to open up a whole new range of possible designs. Our latest infographic, Think it Can’t Be Done? 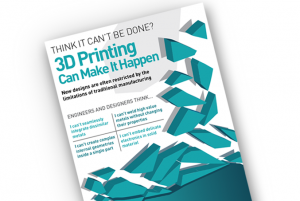 3D Printing Can Make it Happen, explains how. Art and sculpture have been a part of 3D printing for decades in various forms. As an artist, one can now create a design and send it off to be created using plastics, metals or even rubber. The metal materials can range from gold, to steel, to bronze, various combinations and even in a metal plastic composite. If the interest is printing more in plastics, artists can now buy their own desktop printers and create in house without going through a third party. There is no such thing as waiting anymore. Additive manufacturing has opened the flood gates to all sorts of artists. You can now make the impossible designs possible. If you have an impossible design that is not necessarily art related, contact Fabrisonic at the CONTACT link for more information.